Australia played England on 3rd Feb and won by seven wickets, thanks to DLS. This is NZ’s second match and they meet England on 13th Feb. 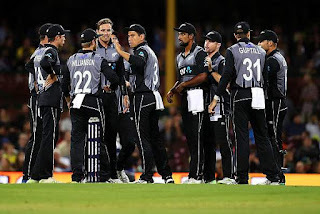 When NZ played against Australia, NZ hit 117 in 20 overs. The batting displayed by the Kiwis can be barely called average. Apart from Colin’s 38, the rest were just there. The bowling wasn’t much either. Trent Boult took two wickets, and Tim Southee, one. Australia, on top of the table with three wins from three matches, enters the finals in a no muss no fuss kind of way. England and NZ have to claw their way back in seeing as they have no points on the board. And seeing as a certain Mr.Duckworth and a Mr.Lewis have already made their presence felt in this tournament, the run rate will make a difference. Australia has pulled out in-form players from the Big Bash tournament and managed to find the right combination for the T20 format. With legends such as Mark Waugh and Ricky Ponting playing crucial roles, the team does have every chance of climbing up the ICC 20 rankings. After dominating the One-Day International series in Australia, England now find themselves at the receiving end. England was bullied early by Australia's pace duo of Kane Richardson and Billy Stanlake to be left wobbling at 34 for 3 before they made a brief recovery. Buttler played a key role in England posting 137 for 7 in the allotted 20 overs where the stand-in captain scored 46 off 49. 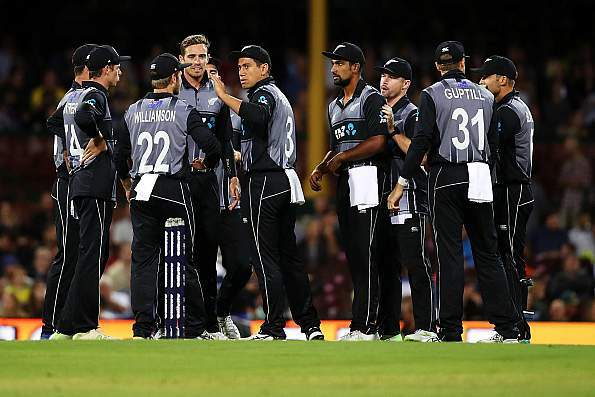 They've now lost both Twenty20 Internationals to the hosts, going down in the second game of the tri-series by seven wickets. Jos Buttler, however, felt England will bounce back as the series moves to New Zealand for the second leg. This match is expected to be a cracker of a match. Both teams look forward to getting their first win and moving up the table. Australia is not likely to change their lineup but England and New Zealand may rethink their strategies. Jos is the captain as Eoin Morgan is injured. New Zealand made a couple of changes in the squad with Mark Chapman and Tim Seifert comes in squad replacing Tom Bruce and Tom Blundell.